Do you enjoy writing? Considering a career in copywriting? Wondering how to get started? In this guest blog post, Derryck Strachen, managing director of Big Star Copywriting, gives his top tips on breaking into copywriting. If you’ve got a good grasp of the English language and a natural talent for writing, then a career in copywriting may be for you. Not only does it enable you to use your flair for writing creatively, it offers a flexible career that you can adapt to your own goals and interests. Copywriting is quite a broad term, but one that’s self-explanatory – it involves the writing of ‘copy’ for advertising and marketing purposes. Copywriters create slogans, newspaper ads and radio scripts; they write articles, brochures, catalogues and web content, press releases, blogs and just about any other type of writing with commercial intent. Many copywriters will cover just a few of these different types of writing at any one point in their career. And while some are generalists who turn their creative mind and research skills to whatever is thrown at them, others are specialists who use their expert knowledge and/or experience within a narrowly defined field (for example, medical copywriters). There is no one path towards a copywriting career. Here are some of the most common routes into copywriting, and some brief info on how to get into them. Working for a copywriting agency – Agencies create marketing copy for a wide variety of clients, so you’re likely to write about different things on a daily basis. Check out online job boards for current vacancies, or send your CV with a speculative covering letter direct to agencies that interest you. In-house copywriting – Many larger organisations create their own copy. This kind of work will usually be much more concentrated around a specific field related to the organisation. Once again, check for vacancies regularly on specialist job boards like Brand Republic and IPA Jobs, as well as more generic boards like Monster and Indeed. Even if you’re some way from graduation, it’s worth taking a look to get an idea of the kind of copywriting jobs that exist out there. Freelancing – This is possibly the hardest route to start off with, but if you have an entrepreneurial spirit and can handle the trade-off between security and flexibility this might be for you. Freelancers work on an ad-hoc basis for a variety of clients, and are responsible for finding their own work and managing their own finances. There are several websites that you can use to explore freelancing opportunities, two of which are eLance and Bizreef. We find most of our writers on Twitter – search regularly for terms like copywriter, freelance writer jobs etc. When applying for copywriting jobs of any kind, the most important thing to do is demonstrate your ability to write compelling and accurate copy. You’ll need samples of your writing to do that, so if you’re considering a career in copywriting go sign up to write for the student newspaper now. Start your own blog. Join Linkedin groups relevant to the area you want to work in. Work for nothing on something you have a passion for. Or build a strong portfolio working for low rates through sites like eLance. Your cover letter or email should also demonstrate your writing ability, so proofread it thoroughly and then proofread it again. Avoid flowery poetic prose – save it for your novel – show that you know what the employer is looking for and that you can stay on topic. Copywriting can be a rewarding career for anyone with a passion for writing and communication, and one that offers a broad range of opportunities. Choose your three best clients to use on your CV. Keep these current. Always be looking to improve on your list of current clients and consciously go after the clients you want to work with. If they are out of your range, think about the stepping stones you need to get there. I like to see a bit of personality in the contacts I get from new writers. Not ridiculously quirky or try-hard funny but interesting and rounded. Don’t make spelling mistakes or grammatical errors in your job applications. Seriously, about 1 in 3 applications I read has errors. Often those same applications tell me how great they are at attention to detail. Get someone else to read your application, read it aloud, check it five times before you press send – it’s a one shot deal. 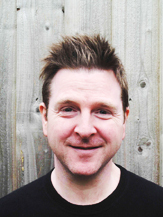 Derryck Strachan is the Managing Director of www.bigstarcopywriting.com, a leading UK copywriting agency. Very good article overview of this career. I would however advise against anyone using one of the bid sites like elance, odesk amd guru. They are problematic because of the vast number of people that will do almost anything for next to no compensation. If you have never used them before give it a whirl. I believe you would be better served to practice your craft by blogging . Thanks very much for your feedback and useful comments and advice. Great to have these insights from an experienced author.